Orchestral folk bands, which seemed to start popping up everywhere a few years back, are interesting to me for a bunch of reasons. Partly, I’m just blown away at the fact that bands with tons of members can split a check so many ways and keep going. But also because there’s something about the sheer volume of choral harmonies and the power of so many different instruments playing freely without a conductor that’s just entrancing. It’s candy-store like. Audiotree, the Chicago-based music company with tastefully curated live performances and recorded sessions, recently released sessions with two of my favorites in this category (if you can really call this a category). 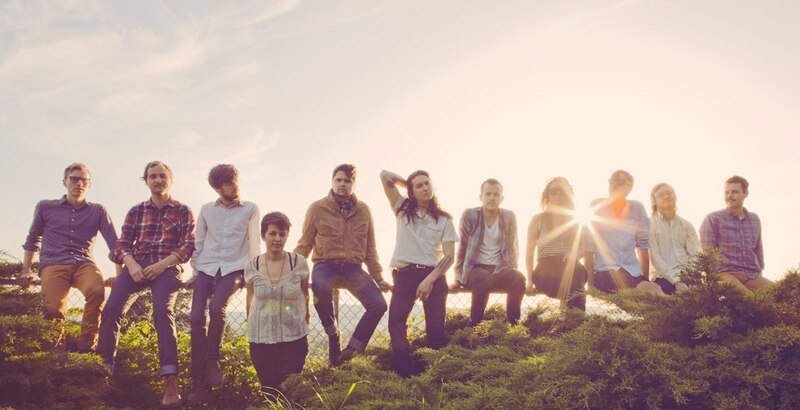 Just yesterday they released a session with the twelve-member Portand-based act, Typhoon, which includes a great performance of “Artificial Light” – one of my favorite songs of 2013 off of one of my favorite albums of 2013. Audiotree also recorded a session earlier this summer with San Marcos, TX-based The Oh Hellos, which one ups Typhoon with 13 members. The band’s set at Newport this summer was a top moment for me.